The history of San Andrés Island is turbulent and full of adventures stories as many of the Caribbean islands where inhabitant by pirates in the beginning of the 16th centuries. The San Andrés islands had been discovered by the Spanish, Dutch and the first record of any settlers was by the British Empire. One of the most famous explorers of all times Christopher Columbus has been on the island, probably in his third or fourth journey. San Andrés Island now functions as an undiscovered pearl in the Caribbean where tourism just reached its coasts. The first facilities for tourist, like resorts and hotels, have been constructed and the local population is driving well on tourism. This is not a strange as the island is beautiful and has a lot to offer. One of the main attractions in San Andrés is scuba diving since it is located in and around coral reefs and atolls. The sea life is abundant and fishing is only allowed for certain amounts a year. Since San Andrés is part of Colombia you can pay with the Colombia Peso or COP$. Since San Andrés is a small island in the middle of the Caribbean Sea it is a true paradise and for many people the perfect getaway. Looking for a perfect honeymoon destination comparable to the Maldives, The Bahamas or San Blas then you are in the right place. The climate is gentle all year around with temperatures never below 20 °C or 68 °F. And rain? Only in the rainy season that last from July to November, but don’t worry it only rains for an hour a day and then the sun is there to light the day again. The Island offers a great range of beaches where you can enjoy the sun or snorkel around. The long seahorse shape of the island offers great variety in coastline with its jewel coral reef on the northwest of the island. Here lies the small cay in the San Andrés Bay that is said to be the most beautiful place of the island. And if you want to flee any luxury then you can visit Johnny Cay that is a small coral islet just located a mile out of the coast from San Andrés, this place is truly scenic with its white sandy beaches and coconuts trees everywhere. Snorkeling and diving is one of the major attractions here, but watch out for the sea currents that can be very strong. 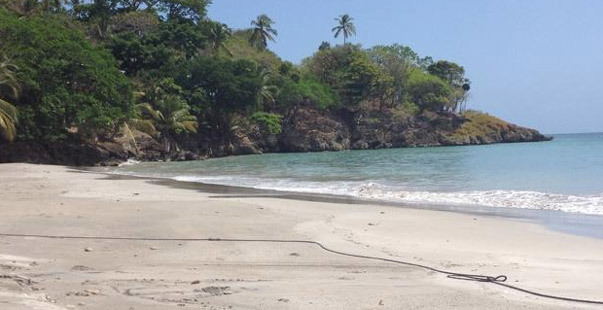 Don’t forget to visit the beaches on Providencia, they are much more pristine and quiet compared to the beaches on San Andrés.